I’m so excited this year about Christmas. Ok, I’m super excited EVERY year about Christmas but this year a little more than most. Firstly we will be celebrating our second Christmas as a family of four but this time we are in a house we love, we are settled into our home rather than moving out of a home AND we are spending it my in-laws as opposed to alone like we did last year. Last Christmas we moved and relocated countries on the first of December and were stuck in a crappy little apartment. We all got sick a couple of days before Christmas and so we spent Christmas day on pain killers and with boxes of tissues surrounding us. This year I aim for a much better and more relaxed Christmas! So you see, the thought of spending it with loved one and no sick just makes me all that more excited! I’m starting to get my house sorted for Christmas early. I’m usually not this organised but with two small boys, a guest (my mum) currently staying with us and then only two weeks after she leaves having another lot of guests stay with us I need to be ready and prepared. We put up our tree and decorations the weekend gone, earlier than usual but it’s necessary this year. I’ve been working on some Christmas crafts and DIY’s that I can’t wait to share over the coming weeks on here. 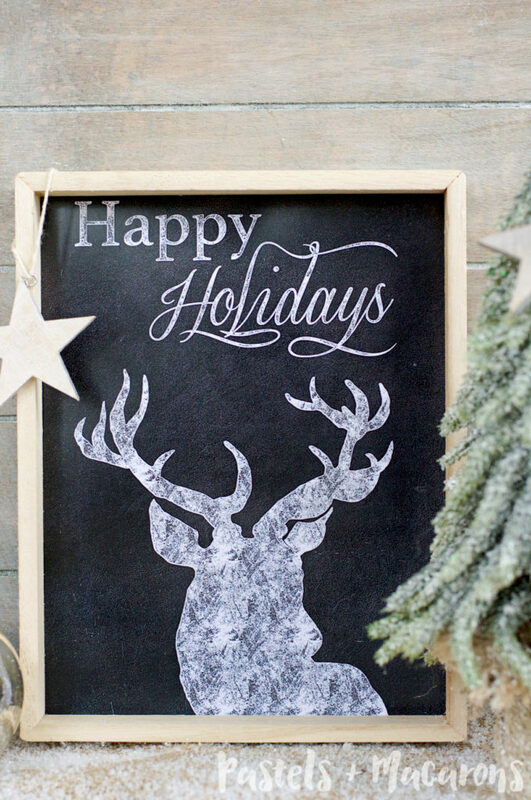 To head my Christmas posts for the year I’m starting with this FREE Christmas Chalkboard Printable! I should say Printables because there are 3 to choose from or you can help yourself and download all 3! I have this particular one that I photographed now happily watching over me on some shelving in my kitchen. 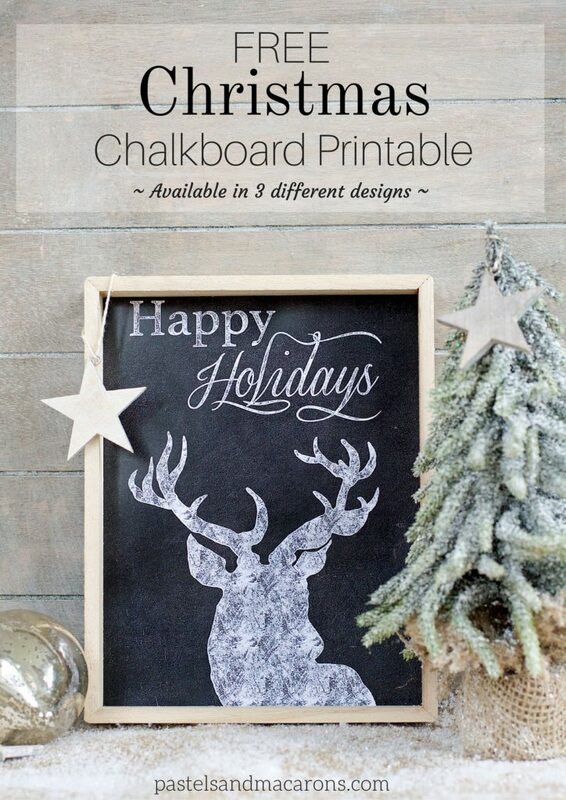 I LOVE chalkboard anything so I thought it would be perfect to design some chalk board prints for you guys to enjoy. Here are the three prints you get! 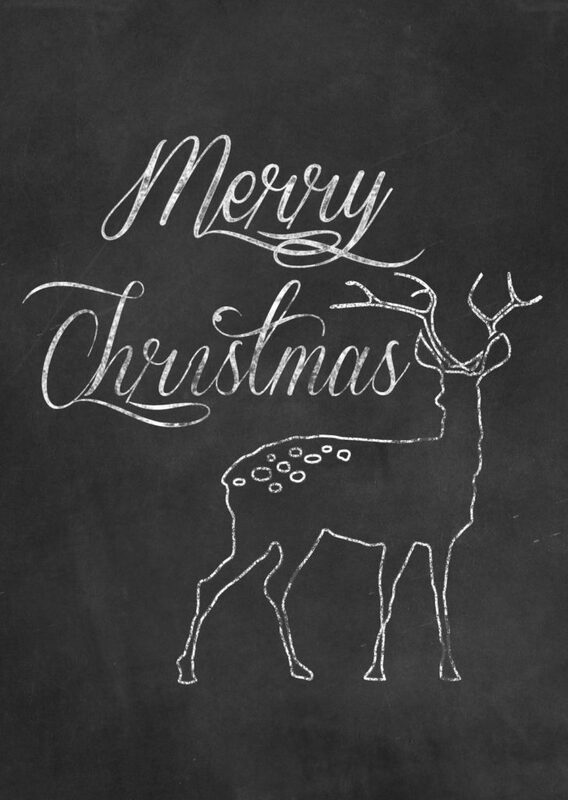 Hope you enjoy your FREE Christmas Chalkboard Printable. Watch this space because I have some other cute free art prints coming up soon!! Are you crazy like me and starting to get Christmas sorted early or are you waiting a bit longer before you get started on everything? These are beautiful! 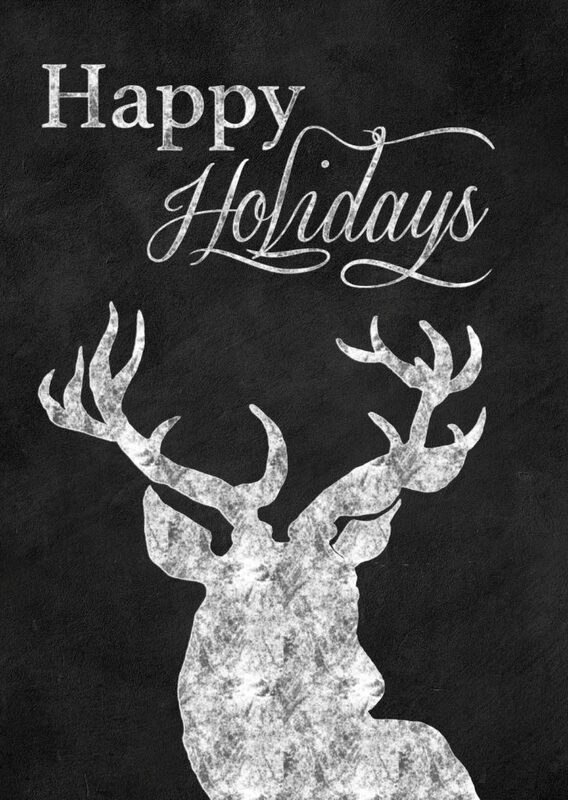 I love the reindeer “Merry Christmas” one! 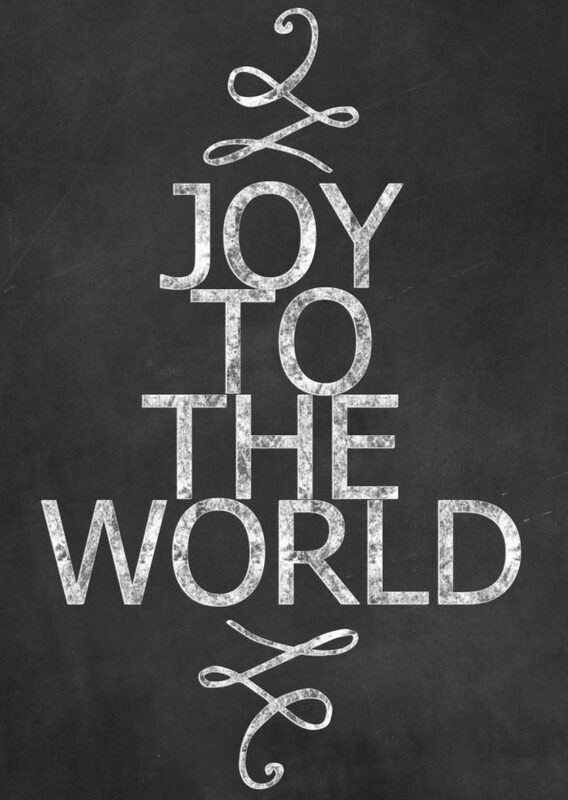 I am so excited to decorate for Christmas, and I have been scouting printables. Thanks for these! Thanks Chelsea! Glad you like them 🙂 There are more printables to come so keep an eye out. I love finding free printables to adorn my home with, better than paying for them 😛 haha. Thanks Anita 🙂 Glad you popped over to say hi. Oh thank you…. 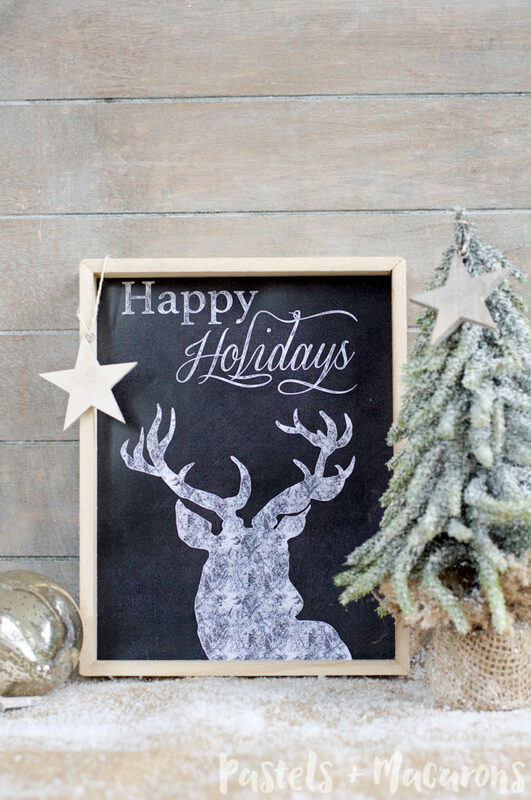 lately I am so into chalkboards and stags. You read my mind! These are gorgeous! So classy. 🙂 Thank you for sharing your talent with us! I would love to have you come and link up at the Friday Frivolity blog party I’m hosting this weekend if you felt like it! Love these so much! Pinning. Thank you so much Ashley! Thanks for pinning!! Just stunning. 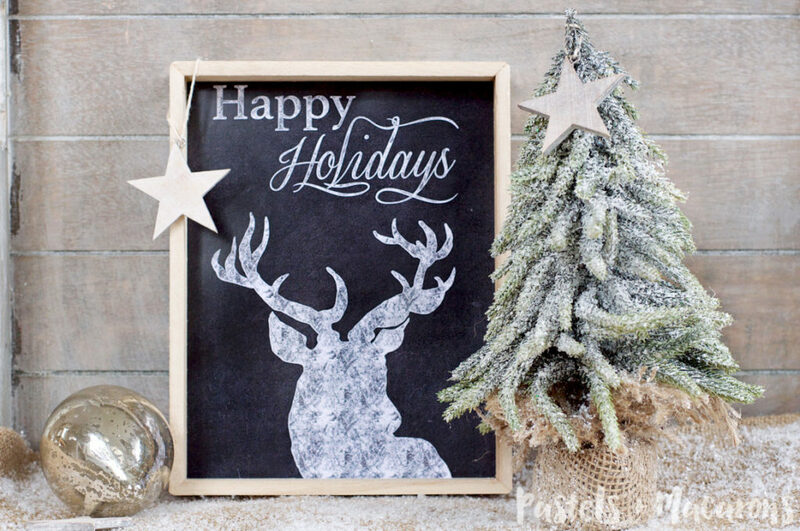 There must be a bit of a theme going, I just posted my reindeer wall art today too…with glitter! 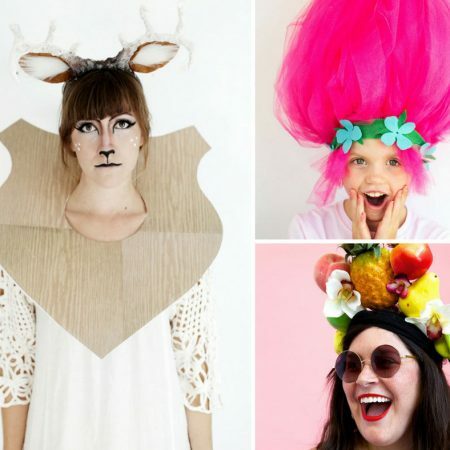 Hi, Maria ~ These are beautiful and so festive! 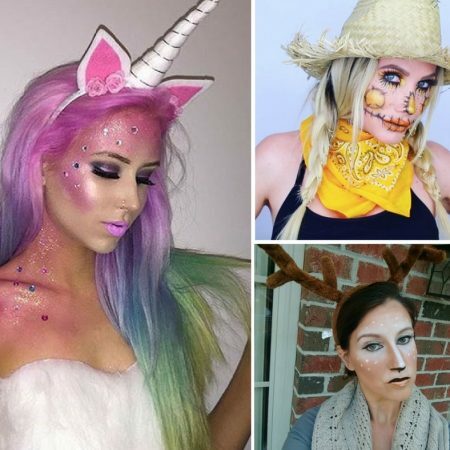 I especially like the one with the stag. I’m pinning these for later. 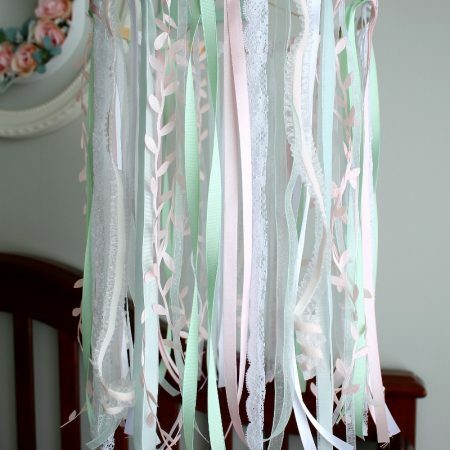 Thanks for sharing with us a the Merry Monday Link Party! Hope to see you again on Sunday night! Thank you for this! It will match my decor this year with deer, antlers and red ornaments. 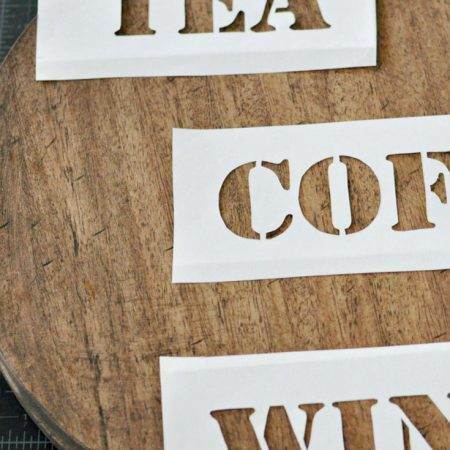 How generous for you to share these printables–they are so artistic, too, for those of us who are not so chalk-board assured. I’m thinking about making them small for tree decorations.